Muddy Leics pops into this village local in Church Langton which has had a complete refurb. Gone is the dated pub and in its place is something seriously stylish. 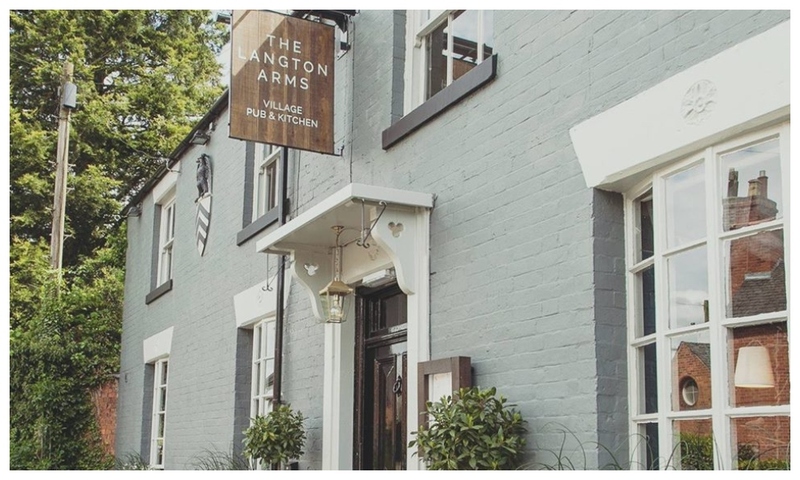 If you were to ever drive down Main Street in Church Langton it would be pretty hard to miss The Langton Arms. Its modern grey facade looks seriously inviting and it’s hard to believe that this gem of a pub sat shut for more than two years. 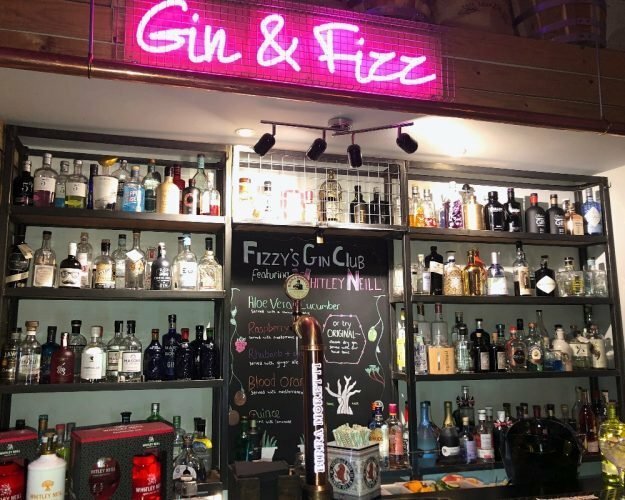 It was eventually bought by Little Britain Pubs who saw its potential and gave it a major facelift involving a raft of improvements, jazzed it up with modern touches and welcomed their new baby into the fold. With it’s on trend grey brick walls and gorgeous decor, I got a good vibe about this place from the moment we parked up. We were dining on Saturday eve and as expected, the venue was buzzing with a slightly more grown-up crowd but it’s also child-friendly with high chairs and kids menus. The heart of the pub is the eating area – everything seems to be centred around it. The bar is to the right and the kitchen is in the middle so you get the feeling of being in on the action without even knowing it. On one end of the pub is the cosy new snug – great for a pre-dinner drink, and on the other end is the Garden Room – an extension of the eating area but a little bit more intimate. Too cold to make use of the attractive large terrace/garden (all new) but you can bet, we’ll be back to experience it in the summer. 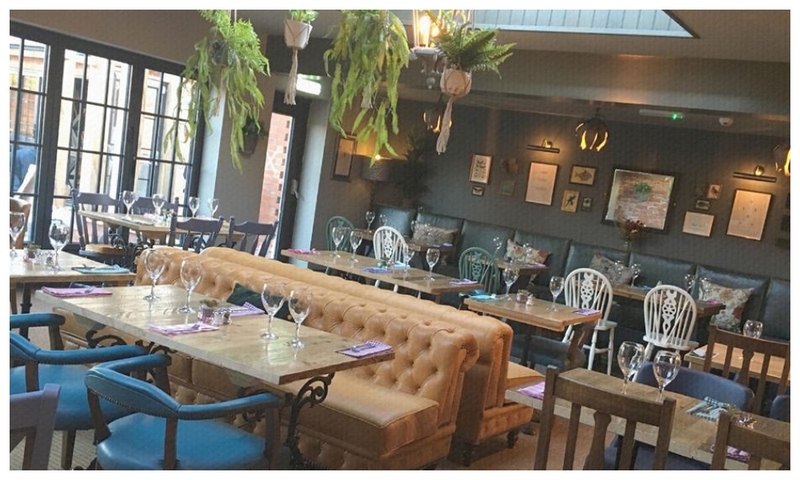 Stand out decor elements include chrome and metal lampshades, lush caramel-hued leather chairs and I especially loved the touches of greenery dotted around every corner of the pub, even hanging from above in stylish planters. 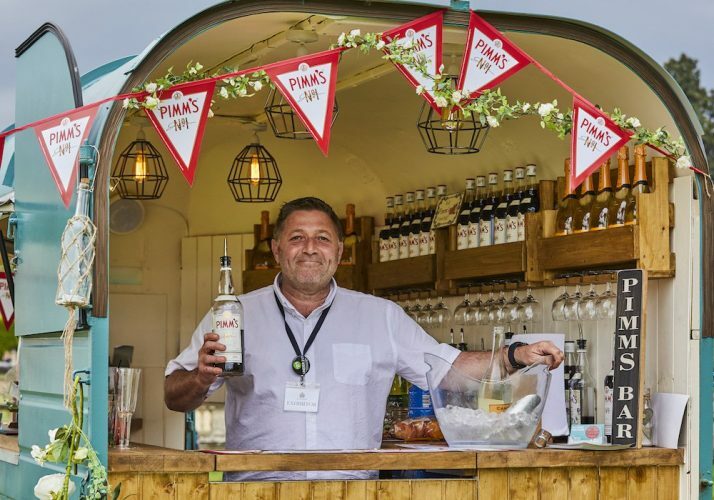 Familiar touches from other pubs under the Little Britain Pub umbrella included gingham napkins and staff wearing t-shirts printed with the names of their sister pubs. 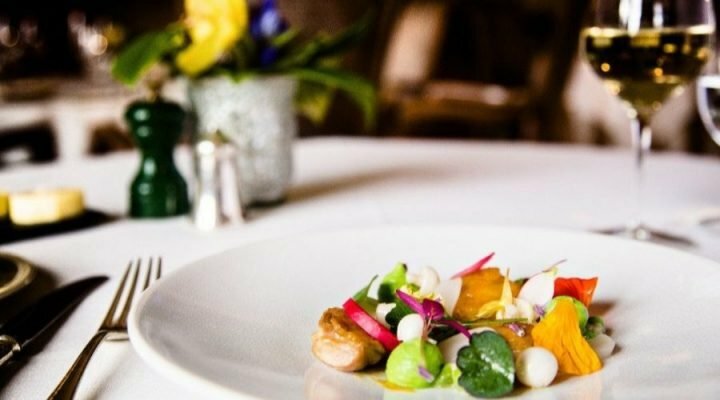 Head chef James has worked with with the likes of Marcus Waering and even did a stint at La Gavroche so expect some dishes you wouldn’t normally see on a pub menu. 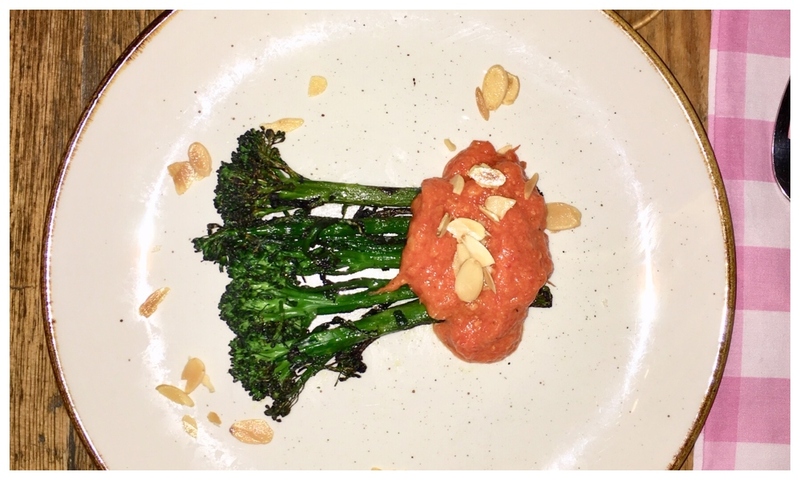 My charred sprouting broccoli, romesco sauce and toasted almonds was a light starter which I followed up with the Miso roasted aubergine, chilli and coriander cous cous, marinaded tofu dressing. 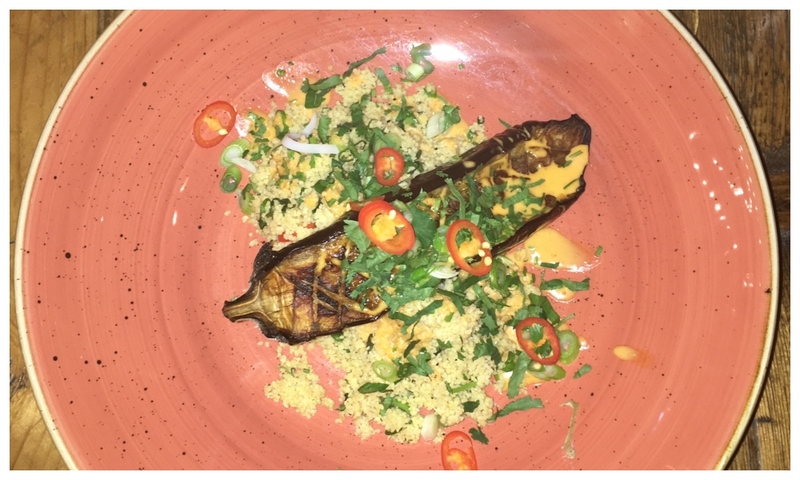 It was delicious and I especially enjoyed the aubergine so was a little sad to see only one slice on the plate – us veggies have big appetites as well don’t you know! 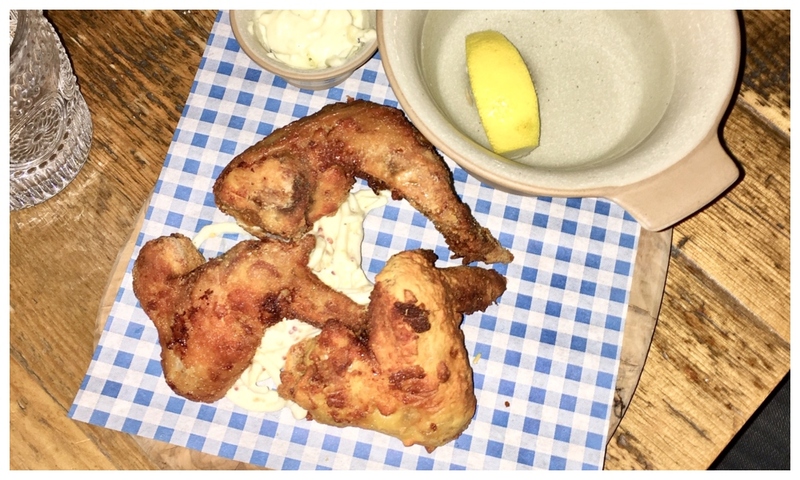 My husband picked the crispy smoked chicken wings, blue cheese dip, apple and celeriac remoulade for starters and couldn’t decide between the garlic & chilli shell-on prawns, noodles and ramen or the smoked chicken breast, potato terrine. We both came to the conclusion that the prawns wouldn’t be enough for him, so he went for the chicken for mains too and polished it off no problem. 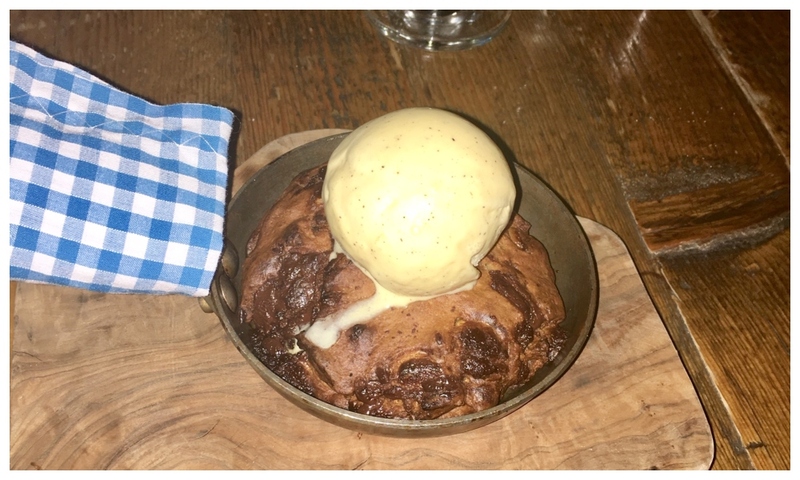 Always hankering after something chocolatey for dessert, we picked the closest thing we could find on their winter menu – peanut butter and chocolate cookie in a pan. A little more crunchier than I had expected, but I loved the way it was presented in a small pan with a dollop of caramel pecan ice cream melting over it. Good for: A night out with friends or family – an intimate date hight. Start off with drinks in the snug first, it will really set the mood! They’re also kid friendly and have a menu for the little ones too. 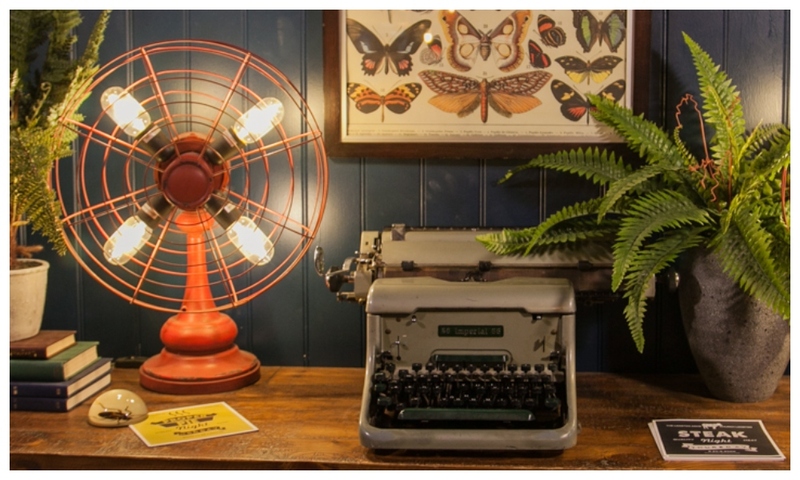 Not for: People who want an easy pub grub or formal dining – this sits comfortably in between. The damage: Starters from £3.80 and can be served as a main (I always think this is a good idea when you can’t decide) Mains start from £13, dessert from £5.25 and include a good selection of British artisan cheeses. The set menu runs Monday – Friday 12-2.30pm, two courses £15, three courses £18. 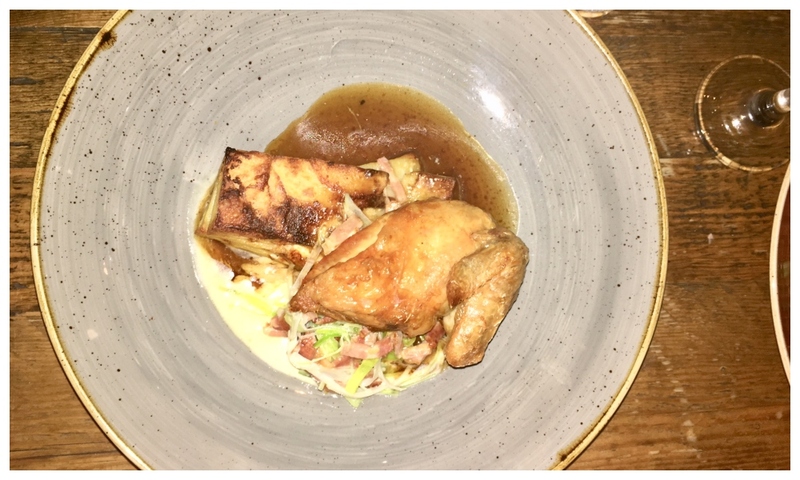 On Sundays they serve two courses for £19 or three courses for £23.50 12-6pm. Kids menu a main and two sides will set you back £6.95 and dessert is extra. The Langton Arms, Main St, Church Langton, Market Harborough LE16 7SY.